Up to nine people, including several children, were hurt in a crash involving three vehicles on outbound I-57 near Halsted Street Monday morning. 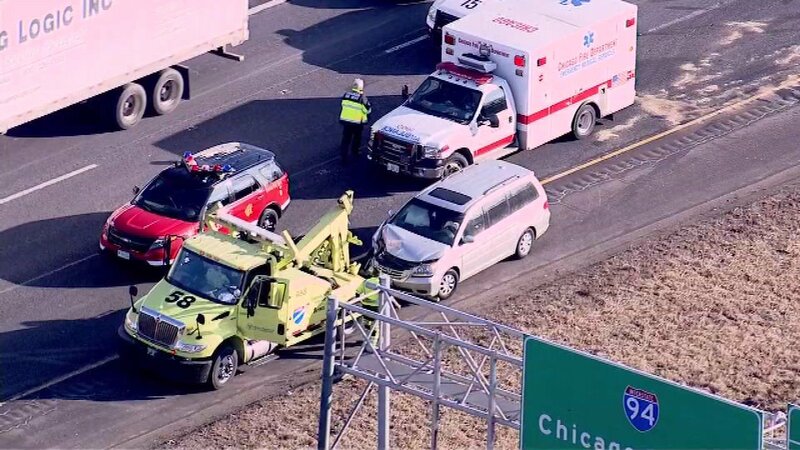 CHICAGO (WLS) -- Up to nine people, including several children, were hurt in a crash involving three vehicles on outbound I-57 near Halsted Street Monday morning. Illinois State Police said an EMS Plan 1 was called so that six children riding in one van could be checked out. Their injuries were minor. No one was seriously hurt in the crash. Emergency crews blocked two lanes Monday morning as they worked to clear the crash. The lanes re-opened just before 9 a.m.
Investigators are looking into what caused the crash.